Small children dug at the earth outside the Ard Ri House Hotel in Tuam on Monday. Around them was a wall of stuffed teddies and children's toys donated by residents. Their tiny hands grasping beach spades were a stark reminder of other tiny hands, other small bodies whose remains were dumped in a disused septic tank at the nearby Tuam Mother and Baby home. It was a powerful visual statement, calling on the Government to excavate the site in full. Locals had set up the wall of toys and play area for children ahead of Minister Katherine Zappone's meeting on the future of the Tuam site. "I am inviting all those who believe they have yet to be heard and those who wish to support previously expressed views, to attend," Minister Zappone had said in advance. "Notwithstanding the complexities surrounding the future of the site, it is important that the decisions which are taken are just, credible and transparent." However, and despite the call for access, the media were not allowed to attend the meeting. Still, several people who attended live tweeted the conversation within. "This is a spider web and it spreads out all over Ireland and you, Minister, are terrified of it. Tuam is only a microcosm. If we get Tuam right, everything else follows," a representative of the Tuam Babies Family Group reportedly said to Ms Zappone. According to further sources, other people present at the meeting questioned why it was Minister Zappone's department making decisions and not the Department of Justice, given that the site is a crime scene. Why are media excluded from Kat Zappone meeting 23 July with Tuam residents and #Tuambabies relatives? The Minister was additionally asked why the Gardai and coroner had not been involved in the investigation into the remains of the 796 babies found at Tuam. In addressing the crowd, Minister Zappone at least acknowledged the scene outside and said that the Tuam site was a "crime against women." Some locals had been on edge ahead of the meeting as there was a feeling that the public consultation process undertaken by Galway County Council had been flawed. The Minister for Children, Katherine Zappone was in Tuam tonight to hear people's views on excavation of the Mother and Baby Home mass grave. @Donal_OKeeffe and @IzzyKamikaze are there and have been live tweeting people's contributions as they spoke. Thanks to both. Indeed, the daughter of historian Catherine Corless (who first unearthed information on the dead children) called the consultation process, "weird and cumbersome and insulting". Adrienne suggested that there was an attempt to spin the findings to make it seem like local residents are divided on what to do at the Tuam site; the two options being to excavate, or not excavate and memorialise. She added there has been a "sinister and elaborate exercise in amplifying a line of dissent... This is a CRIME SCENE we are talking about." Don't understand why there is even a discussion about #Tuambabies I wouldn't treat an animal the way those children were treated, I wouldn't treat a fly that way. NO MORE. We can't truly move on until we face our past in all it's horror and honour those children with the truth. 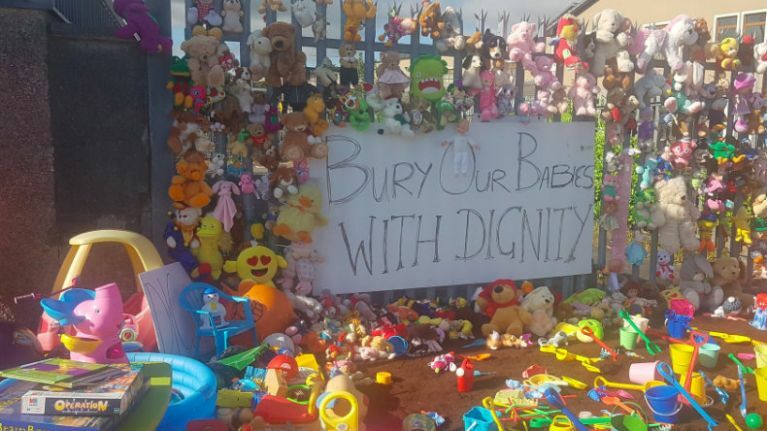 A resident of Dublin Road located near the former Mother and Baby Home explained: "This is a human rights issue." She described the neighbourhood consultation as "a lie", and added she wasn't consulted. 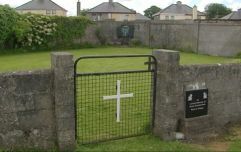 The feeling among some Tuam residents was that the government favoured a memorial, rather than a full excavation and DNA testing of the remains. Catherine Corless herself says they have reason to believe that there are complete bodies on site at Tuam. "In archaeological terms this is 'articulated' bodies. Further, we also have reason to believe that there is flesh on bones and that there are bodies with leathery preservation." Corless also points out that the bodies of six women known to have died at the home are missing. She asks why there is no interest in finding out where the bodies of those women are. "Where are the other missing SIX women? We HAVE to excavate the area - 1.4 hectares of Galway County Council property currently left as a small public ground; left that way because Galway County Council knew officially in the 1970s that there were people interred here, which is why the estate was designed to avoid building here in the first place. "These children and women were never properly even buried here. The dead in the chambers here were carried in through tunnels and placed here for concealment. That’s not burial." A local resident at the meeting said, "We will create new scandals when we try to cover up the old scandals. I'm ashamed we're even having this discussion." It certainly seems baffling that there has been a consultation process at all, the State are already aware that there are at least 796 bodies at the site. As was pointed out at the meeting on Monday, in any other situation where bodies were found the Gardaí would be involved as would the coroner - so why are the women and children of Tuam not being accorded the same rights as any other victim of a crime? 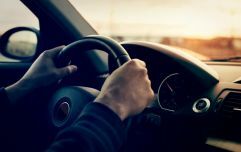 Those who had relatives in the home say that they want exhumation and DNA testing so they can finally learn the truth about their loved ones. One relative at the meeting said, "I did my own investigating" into the life and apparent death of his cousin at aged three months. However he continued: "I cannot be sure that this child is dead." Another relative of those incarcerated at Tuam said she has two brothers missing and she wanted to know if they had been illegally adopted. Minister Zappone herself said what happened at Tuam was a crime against women. So it is baffling that the Government seems so hesitant to investigate. An estimated 30,000 women were kept in Mother and Baby homes and in laundries in the 19th and 20th centuries. The last laundry closed in 1996 and we know St Anne's Adoption Society was still burying children in unmarked graves as recently as 1990. Izzy Kamikaze was at the meeting and said that the roughly 200 residents present were, "predominantly pro-exhumation". "Katherine Zappone does not look happy," tweeted Donal O'Keefe additionally towards the end of the meeting. Katherine Zappone does not look happy. Overwhelming reaction from Tuam people in audience is that they want excavation and DNA analysis. Given the lengths the Government went to to seek the public's opinion, we can only hope they now act on the public's requests to fully exhume the entire site and DNA test the remains. Justice and truth may not put smiles on the faces of government ministers, but it is the least the victims of the Church and State deserve.